NISGUA is hiring a Digital Organizer & Partnerships Coordinator! We seek a committed activist to work in our Guatemala City office. 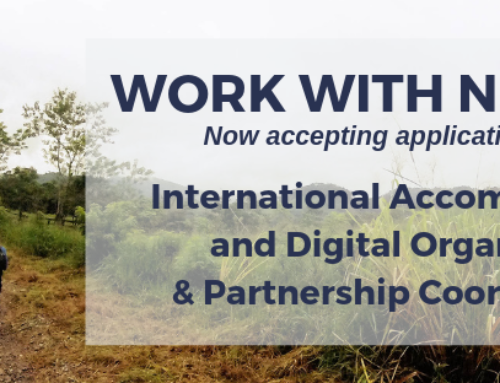 Our new team member will be responsible for developing and implementing digital organizing and communications to engage with our U.S. base, and stewarding our relationships with partner organizations from Guatemalan social movements. For the last year and a half, President Jimmy Morales has repeatedly attacked the UN-backed International Commission Against Impunity in Guatemala (CICIG), despite international accords, national legislation, and Constitutional Court decisions protecting its ongoing presence. On January 7, Morales announced the unilateral cancelation of the international agreement that established the CICIG more than a decade ago, defying Constitutional Court orders in what amounts to a technical coup. The crisis continues to play out in a struggle between the executive branch and the Constitutional Court. 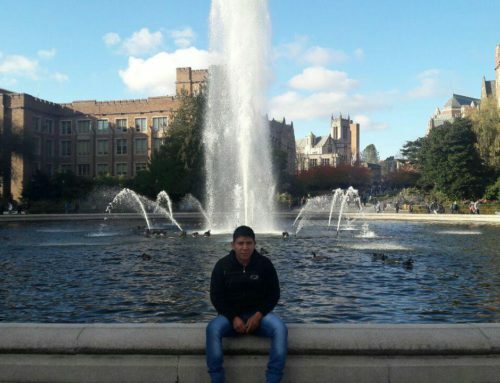 The situation threatens to exacerbate the conditions that force people to migrate to the U.S. by further entrenching corruption and impunity in the country. In response to the technical coup, NISGUA has been present in actions organized by social movements that have struggled against impunity for decades. NISGUA also signed a letter to the US Embassy demanding that they publicly reiterate explicit support for the CICIG, call on the Guatemalan government to respect the Constitutional Court’s decisions, and issue a report on the Guatemalan government’s unconstitutional actions aimed at curtailing investigation of serious corruption charges. Learn more about the situation by reading our timeline of current events that added upon our timeline of a previous crisis point in September 2018. 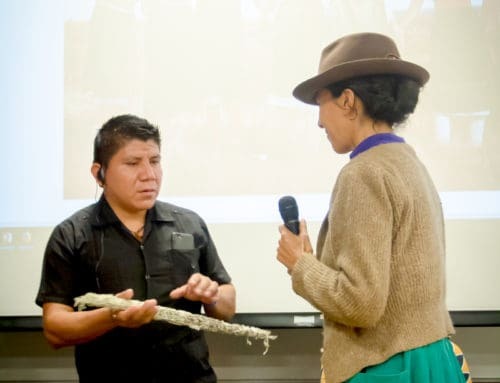 In the interest of centering Indigenous and campesino voices that draw connections between impunity, corruption, resource extraction, and forced immigration, we released a media advisory that includes ways to contact Guatemalan social movement leaders. Community consultations, an ancestral practice of direct democracy, are under threat of regulation by the Guatemalan Congress. Our partners, ACODET, have issued a public statement demanding respect for community consultations and Indigenous self-determination. Click here to read the statement & take action in solidarity! On January 8, Vancouver-based mining company Pan American Silver Corps in an acquisition that included the Guatemalan subsidiary Minera San Rafael and its Escobal silver mine. Pan American’s share prices immediately dropped following the takeover. Operations at the Escobal mine have been suspended since July 2017 over charges of discrimination and failure to consult local Indigenous populations. In September 2018, Guatemala's highest court upheld the 2017 suspension and ordered the Ministry of Energy and Mines (MEM) to consult impacted Xinka communities. Despite company efforts to surreptitiously continue operations, resistance members in Santa Rosa and Jalapa have stood strong to maintain the suspension and have argued that the legitimacy of the court-ordered consultation has been undermined by MEM and Minera San Rafael’s bad faith behavior. On November 19, 2018, the Xinca Parliament held a press conference denouncing the company's actions following the ruling, stating that “the company has increased its misinformation activities regarding the true reach of the consultation, attempting to convince communities that the consultation is a mere formality, during which they will only have the opportunity to say what projects they want, and that, independent of the results of the consultation, [the company] will continue with their [mining] project.” Read the full press statement here. 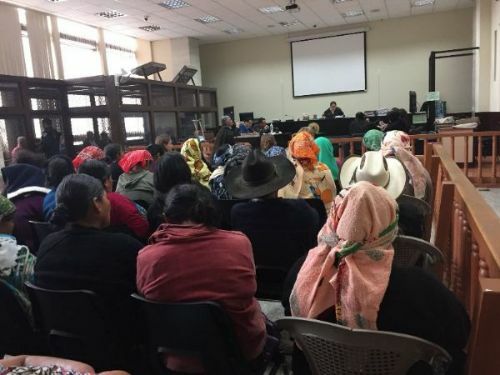 On January 29, a trial in the sexual violence case brought forward by 36 Maya Achí women was abruptly cancelled after an hour of proceedings. Judge Claudette Domínguez ruled that the State’s Attorney’s office had not been given enough time to prepare for the trial, a decision that came after months of attempts by the plaintiffs to include the Guatemalan State as a defendant in the case. Nearly early forty years since the crimes took place, survivors will now have to wait until the State Attorney’s Office presents itself as a defendant, and from then, until a new trial date is set. Between 1981 and 1985, the 36 plaintiffs in the case were repeatedly raped and abused by seven civil defense patrollers at a military base in Rabinal, Baja Verapaz. One was 12 years old at the time. Others were up to six months pregnant, which, according to Maya Achí beliefs, means that the sexual violence took on even greater biological and spiritual dimensions. The women’s tireless struggle has moved this case forward, providing another opportunity for sexual violence survivors to tell their story and demand justice. 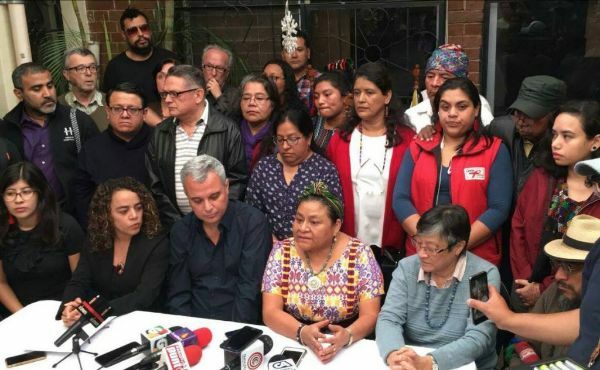 The Maya Achí case joins other historic cases led by Mayan women survivors, including the Ixil Genocide, Sepur Zarco and Military Zone 21 cases. Become an international accompanier in 2019! We are accepting applications for our 2019 cohort of accompaniers! Accompaniment is a powerful tool that allows people with passports from the Global North to leverage their privilege in support of Guatemalan land defenders, water protectors, and survivors seeking justice for crimes of the past. Click here to learn more about becoming an accompanier! After decades struggling for justice and historical memory, survivors of the Mayan genocides in Guatemala are again facing institutional dismissal of their struggle and experiences. 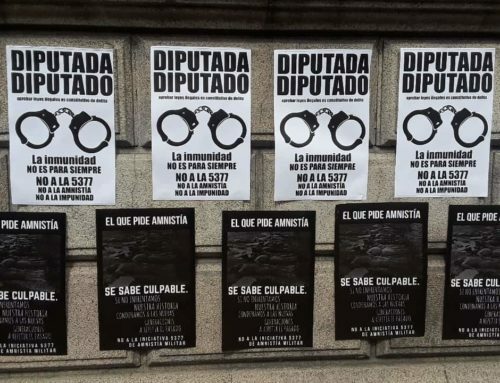 Proposed legislation before the Guatemalan Congress would free 33 former military officials, military commissioners, and former civil defense patrol members who were convicted of torture, enforced disappearance, extrajudicial execution, aggravated sexual violence, and sexual and domestic slavery. It would also free 14 retired military officials and former military commissioners who are in preventive detention awaiting trial and stall ongoing processes for justice. At the center of each of our Solidarity Updates are people facing real risks for speaking out against impunity, state and corporate violence, and working towards justice. We provide international accompaniment and/or advocacy support to all of the organizations and individuals that we write about, as one attempt to dissuade further attacks human rights defenders face for speaking out. 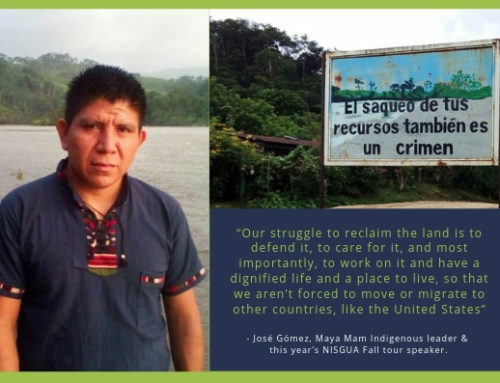 Make a donation to NISGUA today to help answer the calls of our partners for ongoing accompaniment support and much needed advocacy on the long road to justice.